With the large hall and the Maubergeon tower, the palace of the Counts of Poitou-dukes of Aquitaine is today one of the most remarkable medieval architecture ensembles in France. 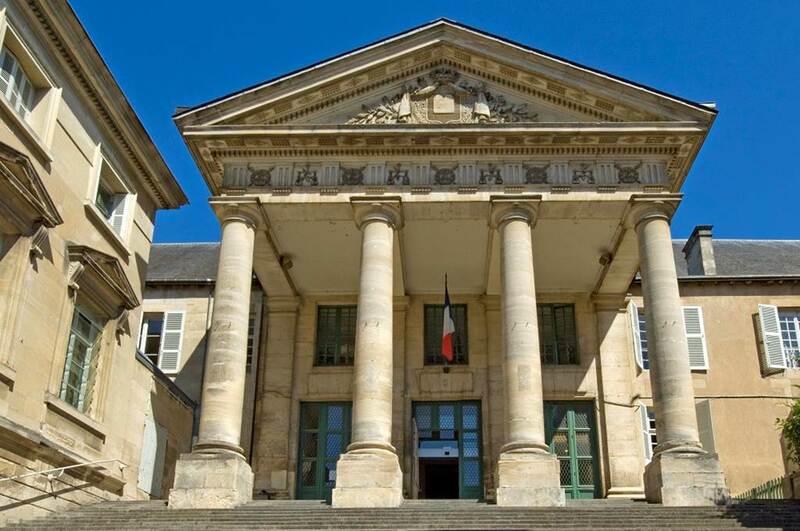 On the former site of the courthouse of Poitiers, have been various exercises of power, perhaps from antiquity, more surely from the High Middle Ages. Indeed, the name of Maubergeon (which still qualifies today the medieval dungeon) is derived from the "mall-berg", the former Merovingian court. Shortly after the year 1000, a new palace is built on a clod of land, backed by the ancient rampart and completed around 1100 by a first tower (whose remains are visible in the square Joan of Arc). The whole, surrounded by moats, is the residence of the Counts of Poitou-dukes of Aquitaine. 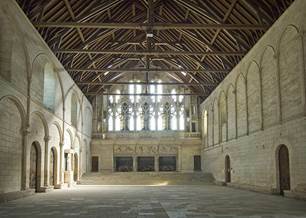 The large ceremonial hall is rebuilt by the Plantagenet family shortly before 1200; known as "Salle des Pas Perdus", with its vast dimensions and decoration of Angevin style (blind arches, capitals), it was the official hall of the Palace. It remains today one of the most remarkable examples of medieval civil architecture in France. From the thirteenth century, the palace becomes less residential, in favor of its administrative functions. It knows new developments around 1380, under the impetus of Jean de Berry: the Maubergeon tower is rebuilt, private connections (now missing) are built in the east, a new gable wall fence the great hall, pierced with large windows above monumental carved fireplaces. The set announces the flamboyant Gothic style. 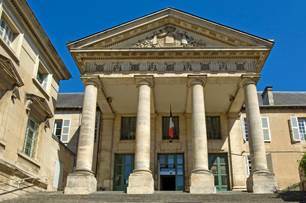 After the French Revolution, the former Count's Palace was finally converted into a courthouse: bodies of buildings leaning against the main hall and a colonnade entrance complete the original provisions. The former courthouse is currently moving no visit to the Hall of Lost Steps is currently possible. 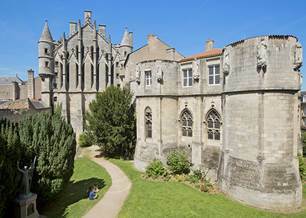 You will find the palace of the Counts of Poitou-dukes of Aquitaine on the circuits "Episcopal "," Montierneuf "," Saint-Hilaire "and" Modern City ", to discover the riches of the city of Poitiers (external visit only).